The Reds got another solid effort from Homer Bailey. He allowed just one earned run over five innings, and the Reds bullpen took care of business the rest of the way. Brandon Phillips delivered a big two RBI single in the seventh inning to give the Reds a 3-2 lead, and that would be the final. The Reds have won back to back games, and are now 18-12 since the all star break. According to FangraphsÃ‚Â WPA statisticÃ‚Â (winning percentage added), the most important play of the game was Brandon Phillips 2-RBI double with 2 outs in the 7th inning, giving the Reds a 3-2 lead.Ã‚Â That play increased the Reds chances of winning by 43.8% (from 34.3% to 78.1%). Phillips had a big night, including driving in two runs in the 7th inning to give the Reds a 3-2 lead. Phillips is having a really nice second half so far. He entered play with a .903 OPS in the second half, and a 1.160 OPS in August. 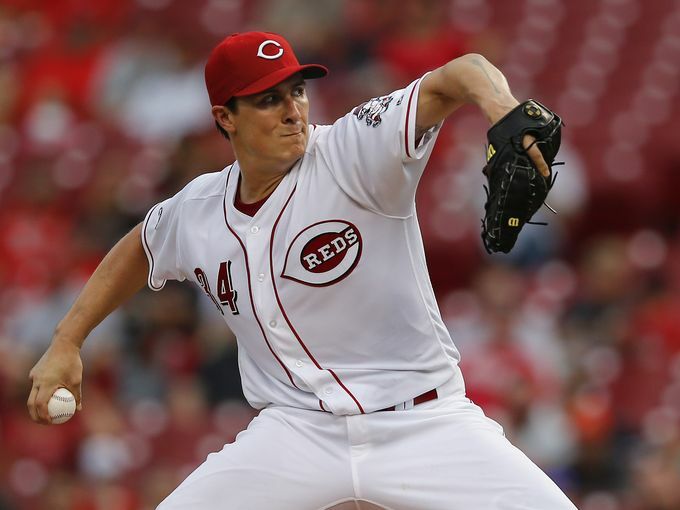 Another solid effort fromÃ‚Â Homer BaileyÃ‚Â coming back from Tommy John Surgery: 5.0 IP, 6 H, 1 ER, 1 BB, 6 K. Bailey now has 27 strikeouts with just 6 walks in 19.2 IP this season. He finished the night with 96 pitches. Bailey probably would have gone at least one more inning if he wasn’t just coming back. Eugenio SuarezÃ‚Â had two hitsÃ‚Â on the night. Joey VottoÃ‚Â extended his hitting streak to 8 games with a single in the 5th inning. VottoÃ‚Â has now hit safely in 27 of his last 29 games, and has reached base safely in 29 of his last 30Ã‚Â games. Billy HamiltonÃ‚Â pinch-hit in the 7th inning, and had an infield single. It was good to see Hamilton return to the lineup after being out since Monday. Josh Smith, Blake Wood,Ã‚Â andÃ‚Â Tony CingraniÃ‚Â combined to pitch four scoreless, no-hit (!) innings. Eugenio SuarezÃ‚Â committed his 19th error of the season in the 5th inning, costing the Reds a run and running up Homer Bailey’s pitch count. The Reds bunted Billy Hamlton to second base in the 7th inning, down a run. Why on earth would you ever do that? 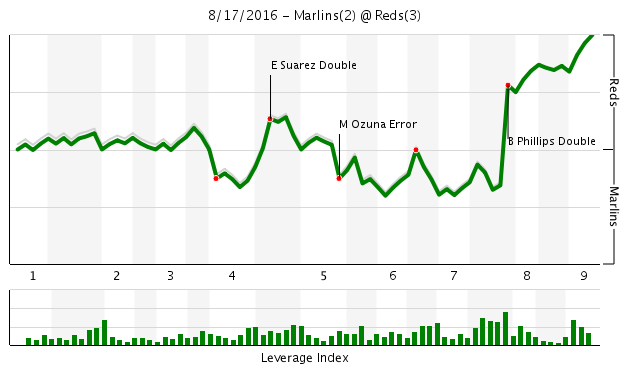 That bunt decreased the Reds chances of winning by 3.4% (43.4% to 40.0%). I’ve tried to avoid criticism of the Reds broadcasters this year, but Thom made it pretty difficult tonight. He said “Brandon Phillips has delivered the goods all season long” immediately following Phillips’ big 2-RBI single. I know that Thom missed quite a bit of time, but come on. Phillips ranks 20th out of the 23 qualifying MLB second basemen in OPS. All statistics used courtesy of Fangraphs, Baseball-Reference, and ESPN Stats & Info. All photos are used courtesy of the CincinnatiÃ‚Â EnquirerÃ‚Â and Kareem Elgazzar, and are used by permission. I think BP had a double, not a single. True. If you’re going to call for a bunt, it’s nice when the player executes. if you are going to have a career AA player bat lead off while he has 2 legit hits in his 1st 18 PA in the big leagues, I say who not better to sac. Could not see the game was he doing it at every pitch or did he bunt for a hit? But congrats to Renda solid night, got his first big league walk right? “A perfect bunt,” to paraphrase Chris and Thom. Chris even dissected and complimented how well Renda accomplished it. Not exactly sure, but I think he showed bunt on the second pitch and got it down on the third. Or something like that. Yes, it was of the sacrifice variety. As much as I have hoped that the Reds would sit BP in favor of Peraza or Herrera, DatDude has played awfully well lately. Big props to him for beating father time, at least for a little while. Fun to see. yep, based on last two trade attempts, $$$$$$. I don’t have the articles handy but there was a lot of speculation when he blocked trades during the off season that he was asking for his deferred money. I have no way of knowing but I did see it in three different places that was the snag. I will say this if that was the only issue shame on the FO for being dense. IMO he has continued to play up to his contract though this season if he has it has been close. The biggest problem is he is blocking youngsters from playing with his big contract! He has been a + player as long as he has been healthy. HBP’s and foul ball off his legs hampered him and his performance showed it. This seems to go unnoticed when evaluating BP’s season and season’s past. This is false, at least this year. Injuries have hurt his production in past years (keep in mind that slow recovery from injury is a symptom of aging). But this year his production was at an all-time low even before his first injury. It would be nice if some team wanted Phillips and would pay his $14 million salary next season. My guess is none of the other 29 teams will seize the opportunity. Phillips has not had any major injuries this season but he has had several nagging small injuries that he has been dealing with… Source There was a fairly recent article both on mlb.com and Cincinnati.com that spoke of his issues with minor injuries. I too want to see the young kids play but, honestly it has been very refreshing to see BP play some good ball in the 2nd half. I would bet his OBP is in the top 10 so so since the all start game. Great win….Homer looked really good! His off-speed stuff has been really good since he came back! He threw a few curveballs that were the best I’ve ever seen from him and his velocity. Congrats to BP for the big hit but I still don’t understand why Price had Renda bunting Billy to 2nd? Was Billy a little nicked up and unable to steal? It wasn’t even like he was bunting for a hit since he squared up so early! Weird move? 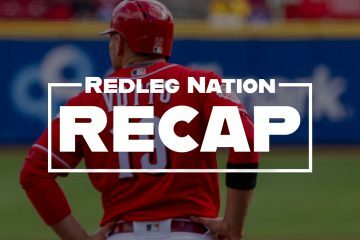 I also don’t really see Josh Smith, Wood, or Cingrani being part of the next competitive Reds team but they have definitely had their good moments lately! Wood and Jumbo are on the wrong side of 30 as well so we’ll see how they look next year. Back on BP for a second. I’ve been riding with the obp crowd so BP has seemed kind of behind the times for a few years now but his offensive production might’ve been underrated in his career despite his weak obp! Yeah…he’s always been a hacker but he had 18 Hrs for many years in a row and never K’d that much so he put the ball in play and made the other guys make a play. I used to dog Jay all the time too for his horrendous slumps but if I remember correctly both Jay and BP had an .800+ ops in their playoff appearances! They were great Reds and it will be a shame we never won with them. You could win with either one of them!! Tremendous play by BP on Gordon as well! I was shocked he made the play or maybe that Gordon doesn’t have anything close to Billy speed!! That was one of the best he’s ever made, and that’s saying a whole lot. Gordon can fly. BP jumped, backhanded the ball, and threw it on a dime while coming down. Awesome. Of all Phillips’ defense attributes, the strength of his arm is not always appreciated fully. It dates back to his days as a shortstop. His arm strength is what made the play against Gordon possible last night. I do not get the hate for Cingrani that comes out here, I am pretty sure you have made negative comments about him the past and the point is to not call you out but spark a debate. 4) I see him as a good piece for maybe 4th or 5th option, 2nd lefty who is under team control until 2020, how much can he cost? Many Parra money? 5) if you go with the guys who struggle getting deep into games and who have showed success, Iglesias as your closer Lorenzen and Finegan as the set-up guys you are a few pieces away from an excellent pen. I see no reason why Cingrani would not be a good candidate for that piece. Hitters don’t pick up the ball well off of Cingrani but its the control issues. You can’t blow 4-0 leads in the bottom of the 9th because your closer is walking everyone. We’ll see….I just throw out opinions like darts on a dartboard and some are right and many are wrong. I hope I’m wrong! I know blown save losses haunt fans but the players probably shake them off like its nothing. Didn’t the Reds win the next night vs St. Louis? I know Chapman would have an occasional horrible game, the one in Colorado where he walked the first 4 batters with a 4 run lead and Stubbs eventually hits a walk homerun to win the game comes to mind. The Cards game was bizarre in that he got 2 outs with 1 runner on, then 7 straight batters reached base. What worries me about Cingrani is how his K rate has dropped off dramatically he has one of the worst on the team and he has virtually quit throwing any other pitch besides his fastball. I think he threw 2 sliders Tuesday and none last night. Chapman did walk the 1st 4 batters, then it was Hoover that gave up the slam. Looks like the wrong Fangraph. As far as Brennaman, I’m definitely not a fan, but I believe the “delivering the goods” reference was to Phillips’ high average with RISP. I know that’s not a popular stat around here, but that’s the stat he mentioned before the hit (I believe it was .333). Ok….well last year Piscotty hit .305 but .393 with RISP!!!!! That’s not a fluke to me!!!! That tells me the guy can smell some RBIs and stays calm when others feel the pressure!!! All players, on average, hit better with men on base for a number of reasons. Over a long enough career like BP’s, virtually every player will have a higher AVG with RISP than without. Regarding Piscotty…if he actually has the skill to hit .390, why doesn’t he just hit .390 all the time? There are two options. Either he’s only giving 2/3 effort normally and 100% effort with RISP, or he’s just been lucky over a small number of ABs. Also, batting average begins to stabilize (half signal, half noise) around 900 at-bats. So that takes many seasons to get when you split it into just RISP. Well its going to pretty hard for Piscotty to keep up .370 and .390 every year….that’s for sure. Why doesn’t he hit .390 all the time though? I don’t know? Why did Peyton Manning throw for a million TDs for the Colts during the season but yet rarely duplicate that in the playoffs. Pressure would be my reason! Greg Norman choked away how many big golf tournaments. Some players just react better to pressure and stress then others! Actually, almost every QB’s numbers decrease during the playoffs. Why? Because they’re playing better teams with better defenses, often in worse weather. However, despite his early struggles, Manning actually turned out a really strong playoff career when you measure his individual stats. In fact, he ended up with a slightly better career playoff passer rating than Tom Brady (to date), and the fifth best in NFL history. Did his teams win as many games as one might expect? No, but then again, football is the ultimate team sport. Manning couldn’t block, run the ball, coach (sort of), tackle, cover receivers, kick field goals, and punt. Actually Ren….and I love Peyton Manning by the way….BUT PMs playoffs stats were completely altered by 2 first round playoff home beatdowns of Denver where he totaled like 7 tds. Other than that…pretty mediocre numbers unfortunately. He did lead Indy to 32 2nd half points to beat NE in the AFC Championship though which setup Indy’s only SB win so its all good!!! Well if you throw out his two best, you need to also throw out his two worst — and do the same thing for every other player! But even if you eliminate those two blowouts against Denver and take the next 20 playoff games through the end of his career, his playoff rating dips less than two points to 85.8, tied with Steve young at #18 overall. I’m also a big fan but realistic: He had some bad playoff games early in his career, but he never could shake that reputation no matter how much he improved over time — to the point where people dismiss the good games and remember only the bad ones! I don’t understand why it is that way. Seems like a bad case of confirmation bias. I could swear Phillips hit a double in the 7th inning to score two and do I really need a Fangraphs WPA statistic to tell me the Reds chances of winning went up when they took the lead 3 to 2? Common sense told me that. I have the recap again tonight, so you might want to avoid reading it. I have put the Fangraphs WPA biggest play of the game in every recap I have done for the last three years. I get that you might think it is dumb, but some have appreciated it. I don’t really understand how it would be a big deal for you to skip over that section. keep it up, I enjoy it! I think it is interesting and while it may be obvious that BP’s Double was the biggest play in the context of this game a lot of time it is not as obvious. It was obviously the biggest play of the game, but it was interesting just how big it was. It swung the game from 34.3% to 78.1% in favor of the Reds. That was one of the largest swings I’ve seen all year. Phillips made two great defensive plays. The line drive off Prado prevented a big inning. The ground ball over 2B and throw to beat Gordon was even better. They both got standing ovations from me and several other fans. So, are we now liking the “worst second baseman” in the league now? Even the worst players come through from time to time. Are you serious? Why do you even come here to post garbage like this? Boredom, I suspect. But to answer his question, wouldn’t it be plausible that Steve or most any other Reds fan want each player to play well and for the team to win? I mean if they’re going to play BP, might as well hope he plays well. MRRED: My feelings exactly. 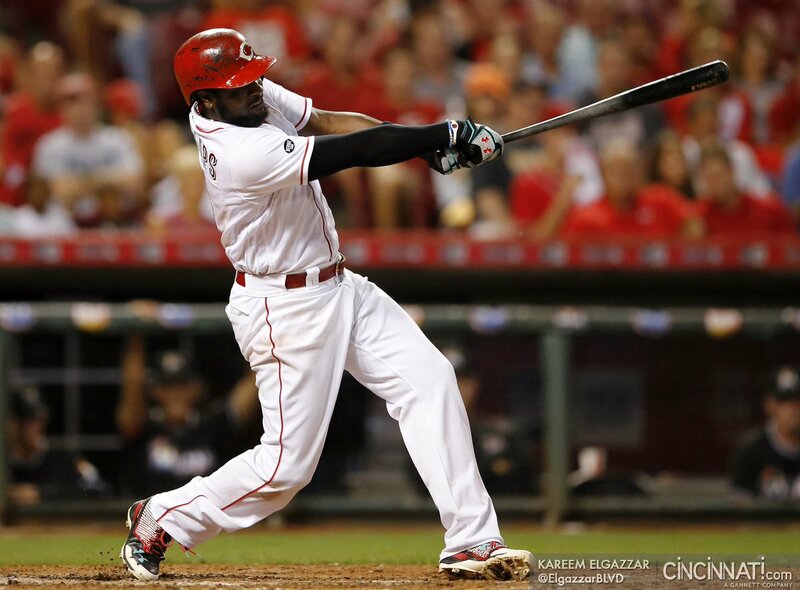 Brandon Phillips, as a non-rebuild Red, has been getting it done. But I hope he’s not the starting 2nd. baseman come April 2017. @MRRED – Exactly… We’re fans. Of course we have our favorites and least favorites but we want all the Reds to play well and for the team to win games. We don’t root against guys wearing that uniform. Or at least I don’t think most of us do. 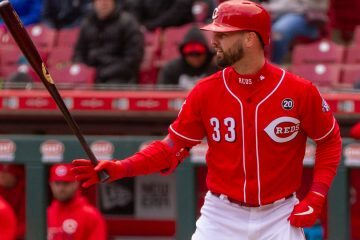 2) Joey Votto- for not doing anything that I noticed was really dumb, he got in front of that last ground ball, did not try to Ole it and took it the bag like Keuth Henradez. He scored from 1st base without running back to make sure he did not get doubled up with 2 outs. I do not think he offended any fans or charity organizations but will keep my eye out for reports. I am not sure what if any significance it bodes for the future; but, over the last 10 days, this patchwork quilt of a transitional Reds team has stood toe to toe and traded punches on essentially even terms with 3 of the 4 teams locked into the battle for the 2nd NL WC spot. Get the pitching figured out right from among the guys already in house at MLB/AAA, put a couple of OBP guys in front of Votto and the mashers behind him; and, let’s see what happens next year? I think it emphasizes how important a good bullpen is. You make it it sound like good obp guys and mashers are waiting for the chance to step in. Good game all the way around. Things to be encouraged about I think. Nice to see the old has been be the old school difference maker. Another set of stats that I would love to see is BP’s offensive statline from over the years the first 2 or 3 days back returning from injury. Seems like BP benefits substantially from days off. I think most older players do play better after a day off. I’d try to sit him more either right before or right after a scheduled off day. I’d also sit Votto about once a month or so before or after a scheduled off day. I love a Reds win and there are a lot of positives but this team is terrible in situations. Runner on third with 2 outs (I know he is not likely to score) Tyler Holt has a 1 and 2 count and he has half of his bottom hand hanging below the knob. Who told him he was a power hitter to begin with? He eventually did ground out to first so he put the ball in play but shorten up instead of swinging for Columbus! I always thought this team would be better without Bruce. With nothing concrete to base it on. I take it you disagree . That’s fine. He was one of the ‘core” of Reds players, who didn’t deliver wins. He was streakey and struck out too much when it mattered. Just my opinion from watching his play. How many profiles do you have on here? I thought that core won 90+ games in at least 3 seasons. Seems like a lot of wins to me. I know I enjoyed watching them. If you’re referring to post-season wins, well join the club of many disappointed fans for many different teams. If that’s all you care about, I’d venture to say you’re not going to be a happy camper too many times. A really, really small sample to use as evidence that the team is better without Jay Bruce… So, you don’t like Bruce and you don’t like Votto. I’m guessing you didn’t like Griffey or Dunn. Who do you like? What Reds did you like in the past? Who are some guys around the league you’d love to see play for the Reds? If he had put up those numbers most of his career as a Red, you’d have a good point. I’m big fan of Bruce, but in the end, this team will be better without him. Just like everyone knows this team will improve once BP is gone. This team started moving in the right direction as soon as they fired Baker. Hopefully they can unload Votto and Bailey’s horrible contracts and trade Iglesias, Duvall, & Strailey for some prospects an start having winning seasons in a few years. Got a good chuckle out of that. I think Thom was indirectly referring to the graphic on the screen when he said “Brandon Phillips has delivered the goods all season long”. The graphic showed, if I’m not mistaken, BP has a .333 AVG this season with runners in scoring position. One of the Reds beat writers tweeted earlier that in his career, BP is hitting well over .500 when following a Votto IBB. This measure, “Clutch,” essentially shows when your production has occurred. For example, a player with a 0.00 clutch means he’s been exactly as productive in low-leverage situations as he has been in high-leverage situations. So if a player is “good all the time” then that means he’ll have a clutch score close to 0.00. A player with a high clutch score doesn’t necessarily mean he’s been “clutch,” it just means he’s been better, relative to his own production, in high leverage situations than in low leverage situations. A player could simply be bad in low-leverage situations and average in high-leverage situations, thus giving him a positive clutch score. So, take these numbers with a grain of salt! Just another side note… hitting with RISP isn’t “clutch” unless the situation is “clutch,” right? Singling a guy in from 2nd base when your team is up 8-1 is not “clutch” whatsoever, which is why RISP is a silly stat to form an opinion on… just my $0.02. I want to comment on Hamilton stealing vs. Renda bunting. First, big props to Hamilton for his infield hit in the first place. He was sent up in a pressure situation and delivered. Didn’t try to do too much and took advantage of his primary skill. Nice. I agree with whoever commented that Renda was bunting not just to advance Billy, but to stay out of a double play. He’s not exactly the most potent hitter in the Reds system. But the Marlins pitcher (Wittgen?) had a very quick slide step delivery from the stretch. Chris Welsh commented that no opposing runner has even attempted a steal on him this year. Add that to possible questions about Hamilton’s knee and it was not at all obvious that stealing would have been a good idea, even with Hamilton on first. In retrospect of course, Price was a genius. But even at the time I had no problem with the strategy. I would think overall you do not want your lead-off hitter ever sacrificing in that situation, but for the dumb decision to bat Renda lead-off and the circumstances I agree with everything you said. You make a good point about the slide step. I also think it shows maturity on Billy’s part, not to just run at will. The SSS for just 5 weeks of games is certainly not significant and numbers can change dramatically from game to game, but the overall offensive production in the 2nd half has been outstanding for the Reds and the record backs that up. Amazing what happens with a decent line-up, average to above average starting pitching night in, night out and a bullpen that rarely gives up a lead despite a manager making questionable strategy decisions in game. No more HR derbys for Duval!! I remember Frazier went on a drought after the home run derby.. Is this single event effecting the overall production of a players season.. Kinda seems like it so far. I guess Barnhart got off to a slow start in the second half. He’s been on fire of late. VIC you are right on but it all starts with pitching.Great grind out win last night by the good guys.Good teams,which is how we have performed the last 30 games,find ways to win the 3-2 games as well as the 7-6 games.We have lost a ton of one run games this year and have had a few games we basically gave away in the last 30 but it is getting better.I am excited and look forward to September and next year.Go Reds. Learning how to win. That’s what we want to see. Sorry, for some reason I thought Phillips big 2-RBI hit was a single, not a double. My apologies. The Old Cossack would have preferred it to be a 2-run single with Votto scoring from 1B! Votto has looked slow this season, at least to these old eyes and seeing him flying around the bases like Billy would have been a feast. Of course for Votto to make like Billy would probably result in him pulling both quads and blowing out both achilles. On second thought, I guess scoring on a double was the better, safer option. Gotta think Joey’s trying to make up for all the bad base running he’s done this year(and past years) by running hard when he gets the chance. I agree, he’s looked slow at times this season. But man, it’s nice to see these guys having some success! I’m taking an impromptu trip to Cincy Saturday to watch the boys. I still hate the Dodgers from the old days and hope our guys can burn ’em. Go Reds!!! When BP is not in the lineup his replacement, whoever he might be, rarely makes the quality fielding plays or hits in the clutch as well. He’s a leader which is in short supply on this current Red’s team. They would not be winning in the second half without him or Billy. I give the manager kudos for occasionally resting his key players and inserting them (like last night) when needed when they are on the mend. Stats don’t always tell the story. Knowing your players and instinct leads to success. BP also threw out Scooter Gennett at the plate in Milwaukee on a strong relay. He got his 2nd wind or something but BP has been playing great lately!! His eventual replacement has some very large shoes to fill, here’s to hoping the Reds can strike gold again at 2B for 2017 and beyond.